JUST REDUCED! 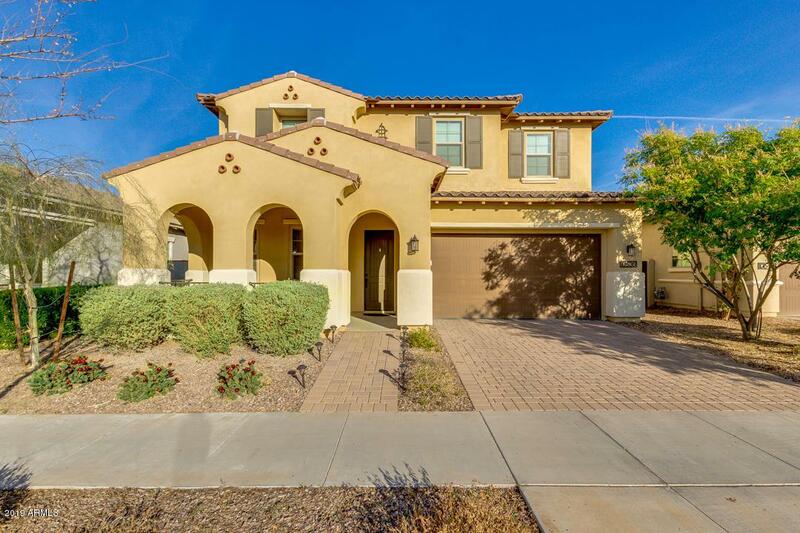 Gorgeous home in Eastmark, Features 4Bed+Loft, 2.5 Bath. 3 car garage w/ new epoxy paint, charming curb appeal, and cozy front porch. 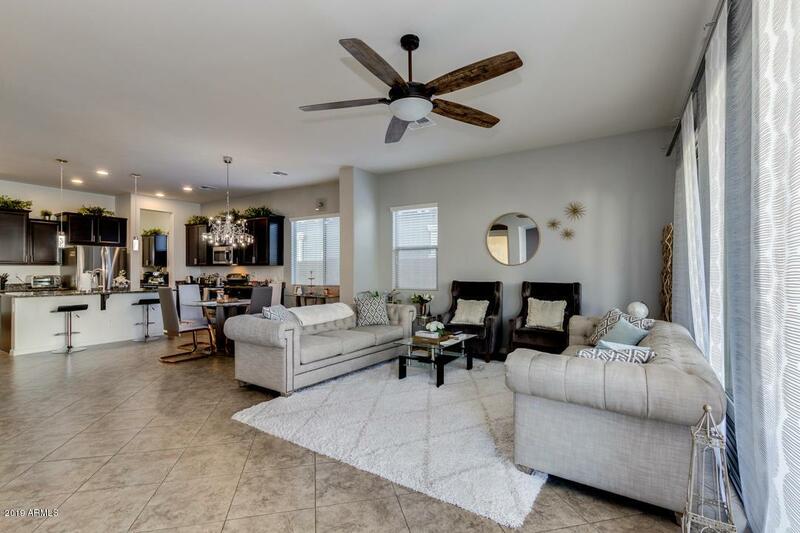 Interior boasts disappearing wall of glass,designer colors, tile flooring in main areas, formal dining room, open floor plan design w/great room and beautiful light fixtures through out. 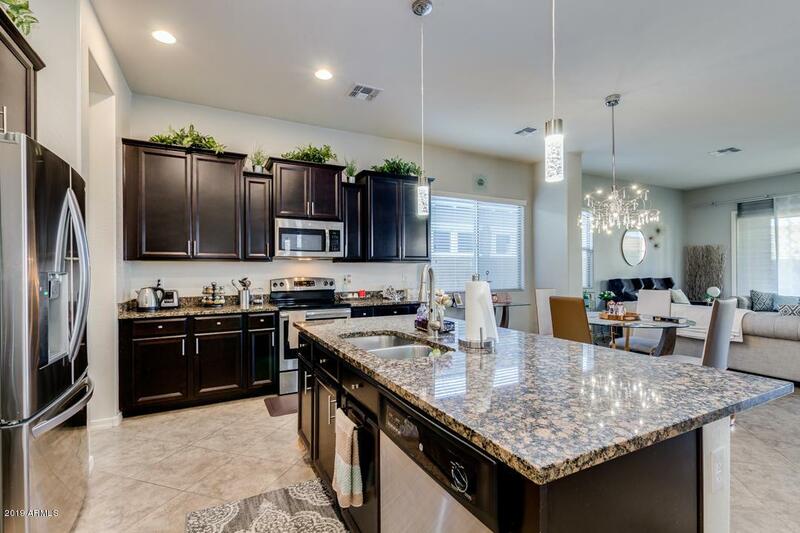 Gourmet kitchen includes stainless steel appliances, staggered cabinets with crown molding, butler's pantry, granite countertops, and island with breakfast bar. Upstairs you'll find a loft perfect for an entertainment area or den. 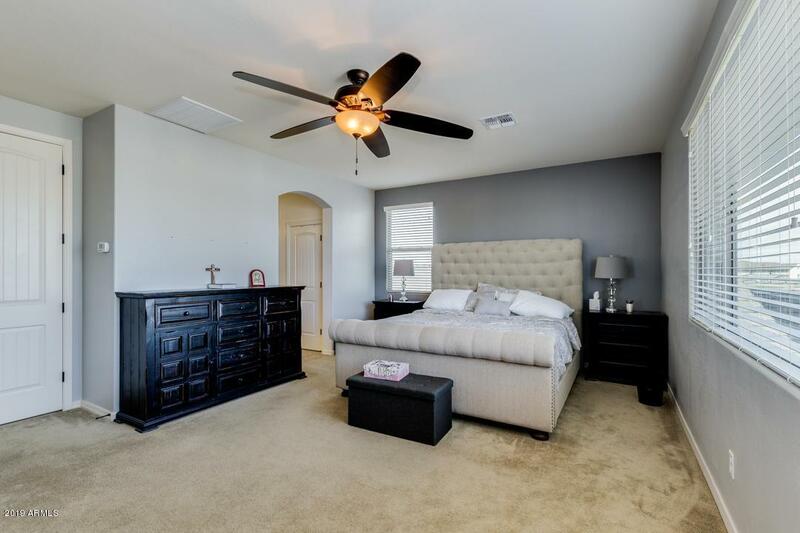 Spacious master suite has sitting area, personal bath with double sinks, tiled shower, and walk-in closet. Professionally landscaped backyard offers 2 covered patios, pavers, and gravel landscaping with synthetic grass. Call Today!